Kevin Smock is an award-winning industrial designer who is turning heads with his visionary handcrafted custom knives. Based on his SK23 custom folder, the Spyderco Smock translates his innovative style into a premium-quality production folder. The hollow-ground blade of this knife is precision machined from CPM-S30V stainless steel and includes both a Trademark Round Hole and an elegantly understated flipper opener. 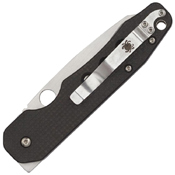 The flipper action is supported by a pair of special ball-bearing pivot washers and a dedicated secondary detent mechanism separate from the knife's lock. 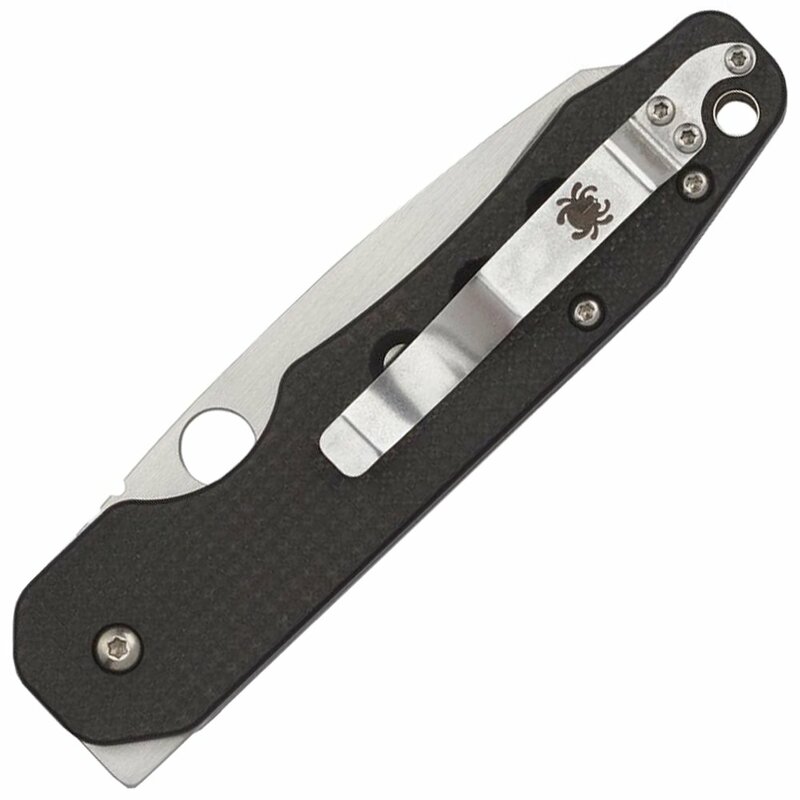 It is paired with a skeletonized handle featuring full stainless steel liners, textured carbon fiber/G-10 laminate scales, lightweight, open-backed construction, and a reversible, tip-up pocket clip for ambidextrous carry. 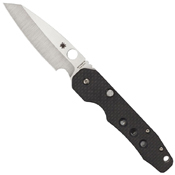 The Smock’s most unique feature, however, is the button release on its high-strength Compression Lock mechanism, which allows the knife to be safely and easily closed without placing your fingers near the blade’s edge. Slim, innovative and distinctly different, the Smock truly reflects Kevin Smock's unique approach to knifemaking.